Looking for Kelloggs Family Rewards points to add to your account? 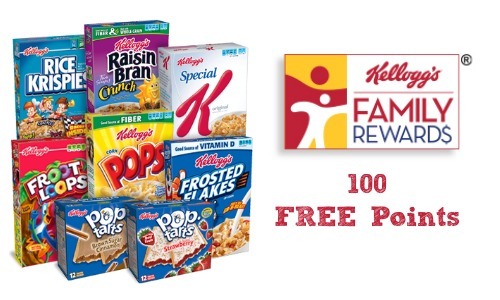 Get 100 FREE Kelloggs Rewards points when you enter the code GREATTOBEAMEMBER. Kelloggs Rewards are fun and easy to collect and you can get great coupons and it’s FREE to join! The thing I really love about Kellogg’s Family Rewards is that you can find them Kellogg’s product boxes and save even more.